Although I have quite a lot of pictures of the 410 Bedford CF vans, All the models in your picture are different from mine except for the Pickford's van. 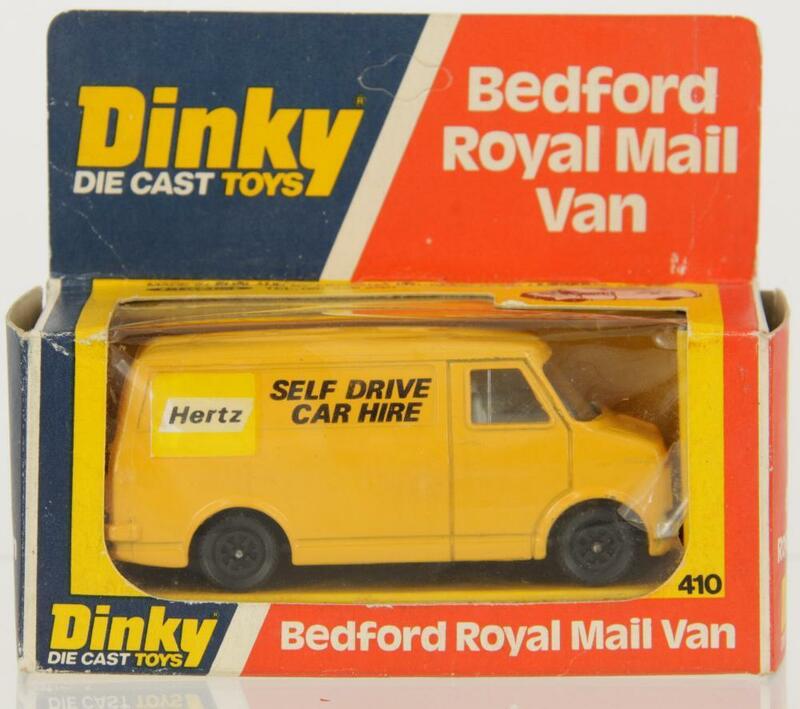 Your original Dinky Royal Mail van has black wheels while mine has chrome wheels. Your Kodak finish is very different from mine. 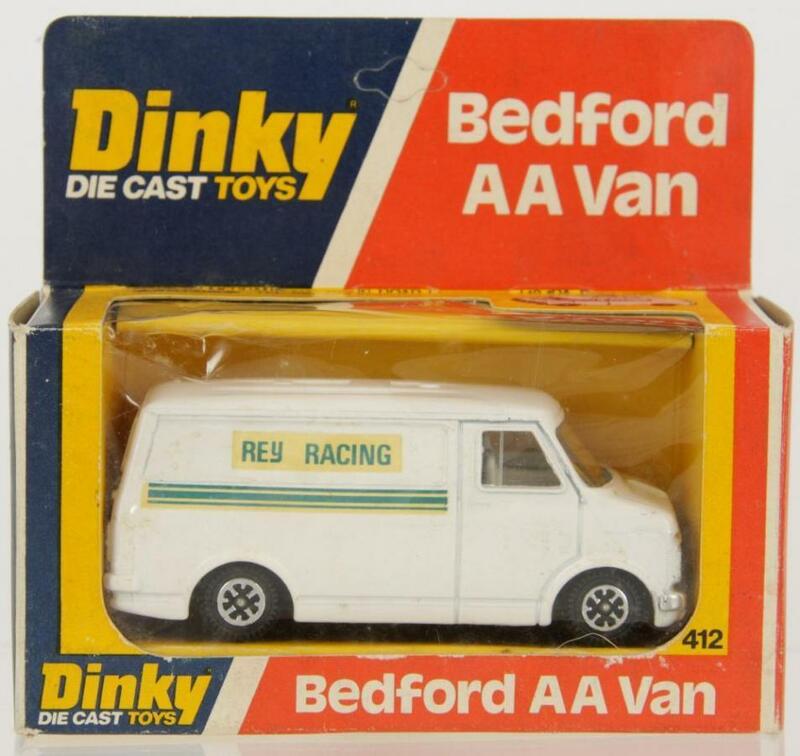 My Dunlop van is yellow / red, yours is red. Your Oxo van has two more words than mine. My Avis van has "Avis" writen at the front, yours is at the back. My Esso van is white, yours is red. This one shows C.I.J. models. Even the Pickford is different : yours has a transfer on the front, mine has one on the rear doors and none on the front. The hubs of the "Kodak" are the same as the "Falk" shown on your picture. Thank you Jacques. I enjoyed seeing the model and the photograph of the original vehicle on which it was based. As a boy I lived in London and was, for a while, a keen 'bus spotter'. London Transport, as it was then known, had a huge network of bus and trolleybus routes with thousands of buses in service. As late as 1958 LT were ordering AEC Tower Wagons for overhead use. The oldest of these (in 1963) was a 1936 AEC Mercury and the oldest road vehicle then in use was a 1931 AEC Regent Railway Breakdown Tender, used on the London Underground system. I'm happy to say that I still have my Ian Allan ABC books for both LT buses and the Southern Region of British Railways and cherish the memories they evoke. Interesting to see your early 23a which I think is a 1933 MG Magnette. 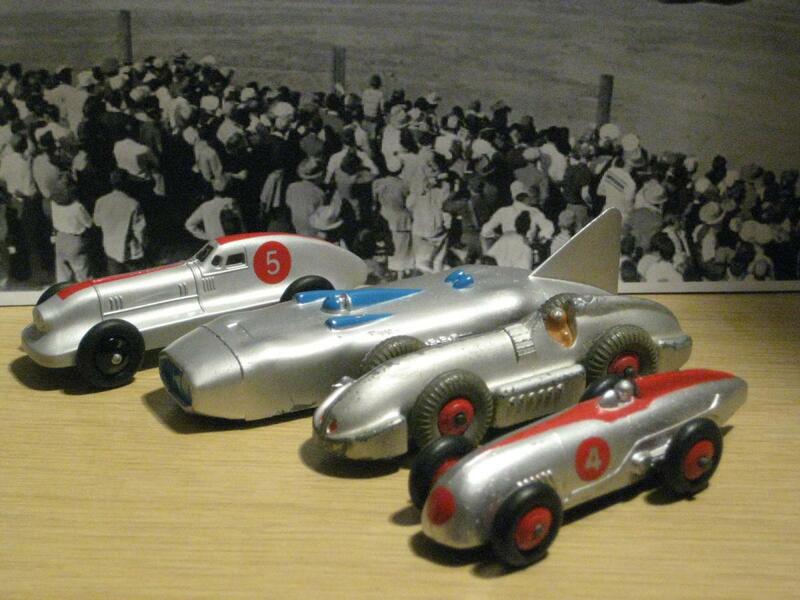 I attach my picture of George Eyston’s record breaking cars, 23B 1934 Hotchkiss 2L Montlhery record car, 23e 1936 Speed of the Wind, 1937 streamlined Thunderbolt. 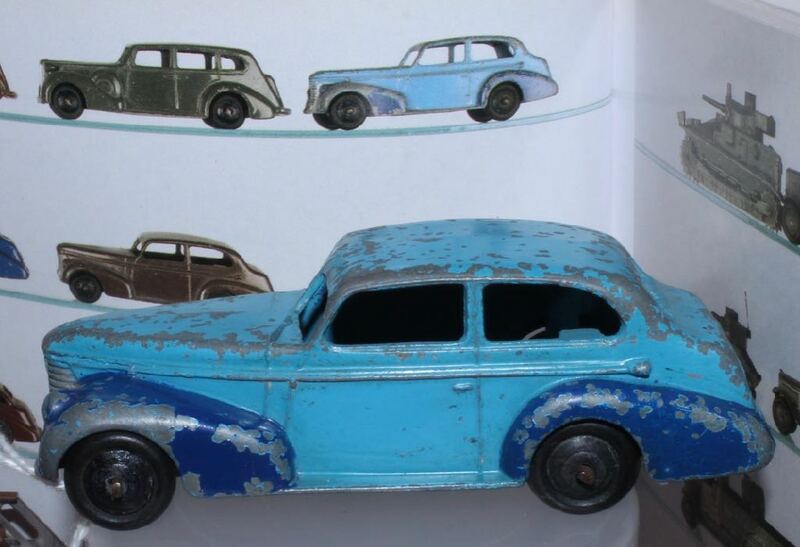 All like the Magnette in 00 scale as these were big cars. All original except the Hotchkiss which is an Atlas usurper. Don’t know if there is an Eyston connection to 23A? Thanks. Lots of variations, but no mention of Eyston and the MG being connected. 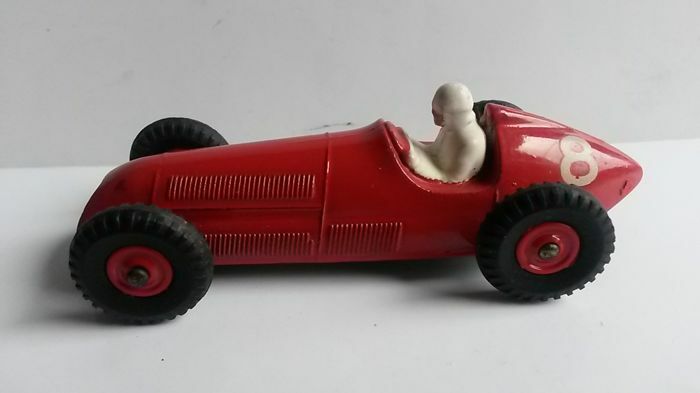 Townie, the 23a racer is definitely connected to George Eyston as it was based on the Magic Midget 750cc car that was later fitted with a six-cylinder engine, hence the two essential Dinky types. The earliest has the four exhaust stubs on the left side and the later one has the six pipe manifold and full exhaust of the downsized MG Magnette engine used in Humbug. Also, the chassis of that car was used as the basis for Goldie Gardner's record- breaking MG that was modelled as 23p. 1. Capt. 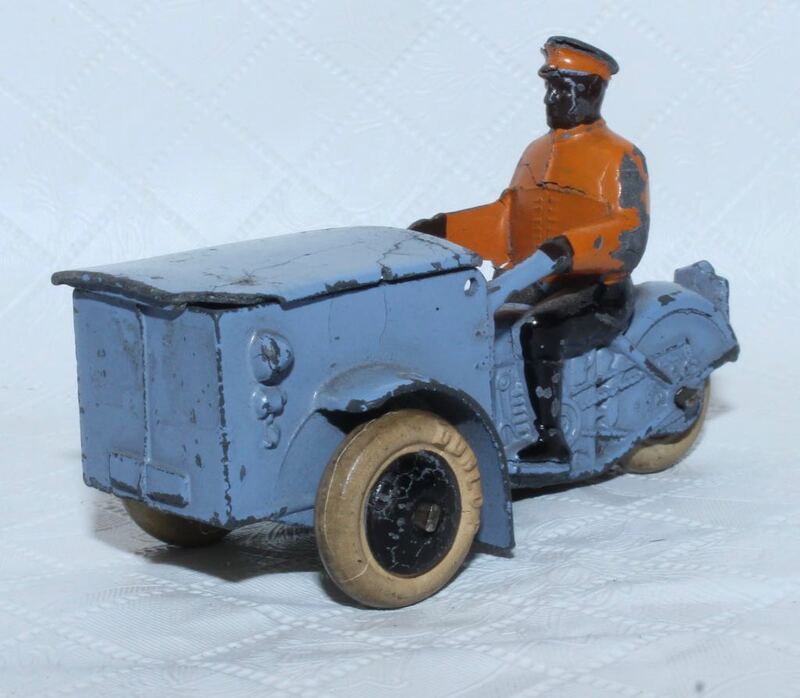 George Eystons MG "Magic Midget" or EX127 is represented by the DINKY TOYS 23 Racer model, 4 exhaust stubs, no driver, issued in April 1934. 2. Capt. George Eystons MG "Magic Magnette" or EX135 or "Humbug" was an entirely new vehicle with a larger six cylinder engine. 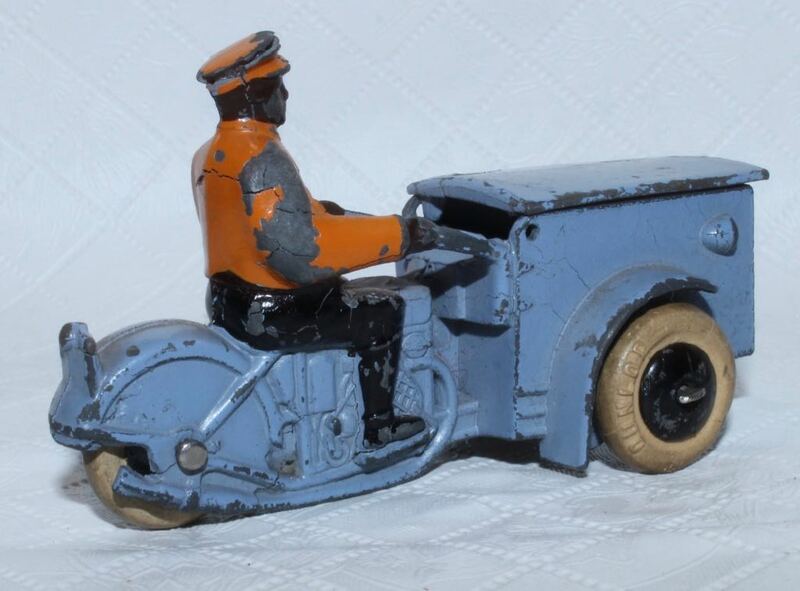 It is represented by the DINKY TOYS 23a Racer, 6-branch exhaust system, driver, issued in early 1935. 3. 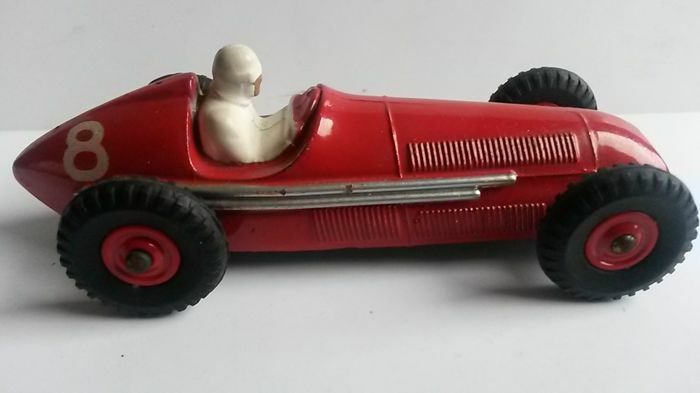 Major Goldie Gardners MG Record Car was basically an entirely new vehicle too, using just the chassis of EX135 . 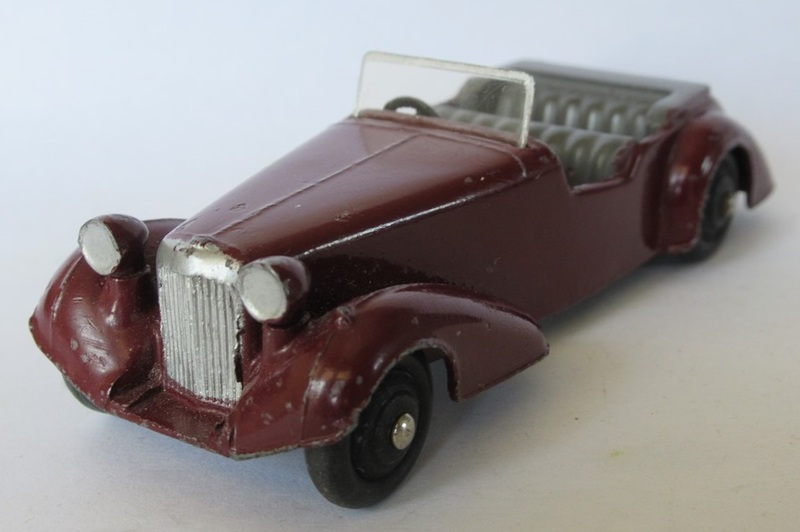 It is represented by the DINKY TOYS 23p Gardner's MG Record Car, issued in late 1939. Excellent, thank you for that. Thanks Walter. If anyone should know it is you. Thank's a lot Santa Claus but ..... there is no snow ! Next year perhaps. Red, like the Santa Claus coat ! Royal mail, code 1, first type. British airways, code 2, John Gay production. 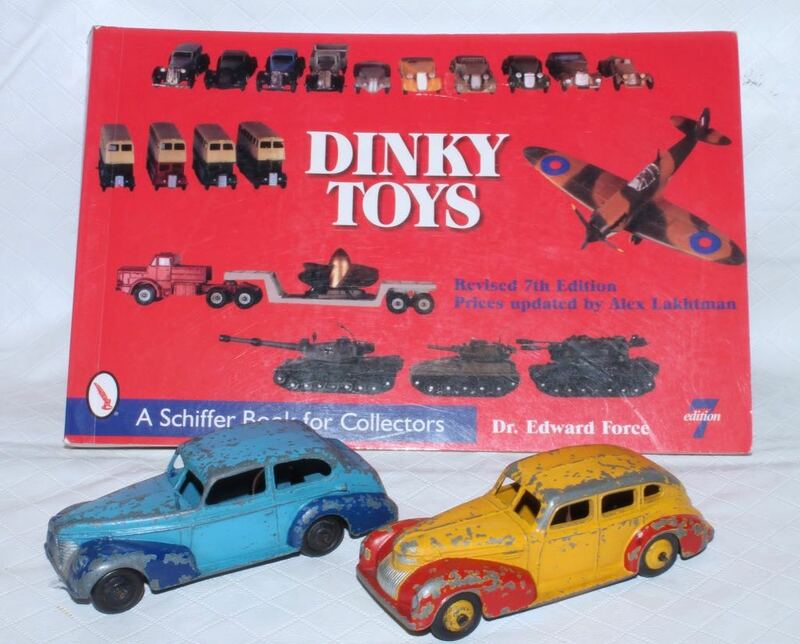 A very well made Dinky Toys. Very nice model. You probably know that there are some variants in the colour cream for the seats and in the red ! 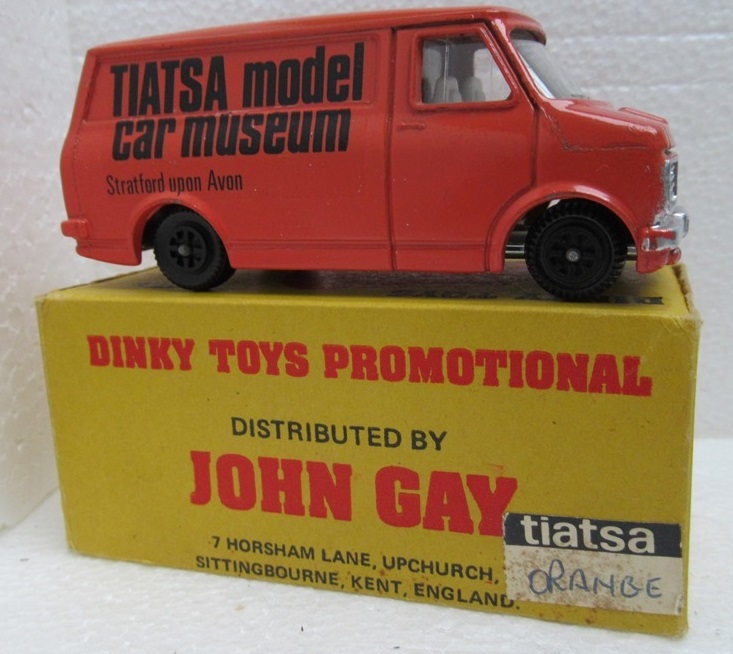 This morning I got a new John Gay Bedford. it's the eleventh. Very happy with this Lincoln that I received this morning. We don't see it in sale very often. Did the real car come in such exotic colours? Or the dull greens and greys of later issues? Were the bright colours to appeal to the young or the dull colours a result of post-war austerity (or a lack of paint)? Certainly a great looking car appealing to Herge! I do not know about the others but the colours of the yellow / red 39eu are original. Yes that’s a taxicab. 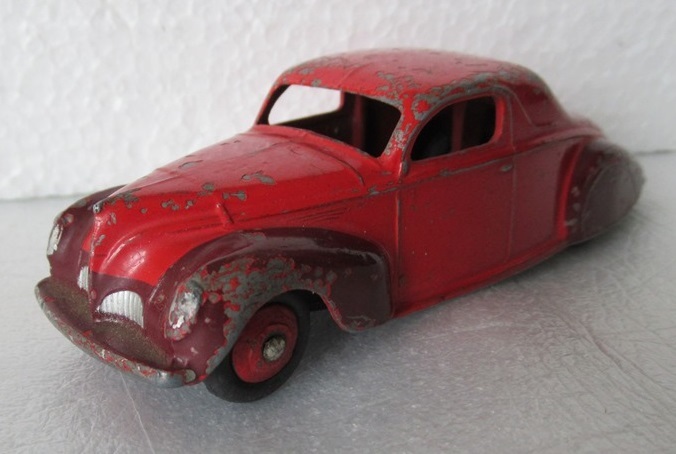 My fine book Chronicle of the American Automobile has a photo of a Lincoln Zephyr in maroon but wings and body coloured as one. Reds, maroons and brown seem quite in vogue then pre-war US. 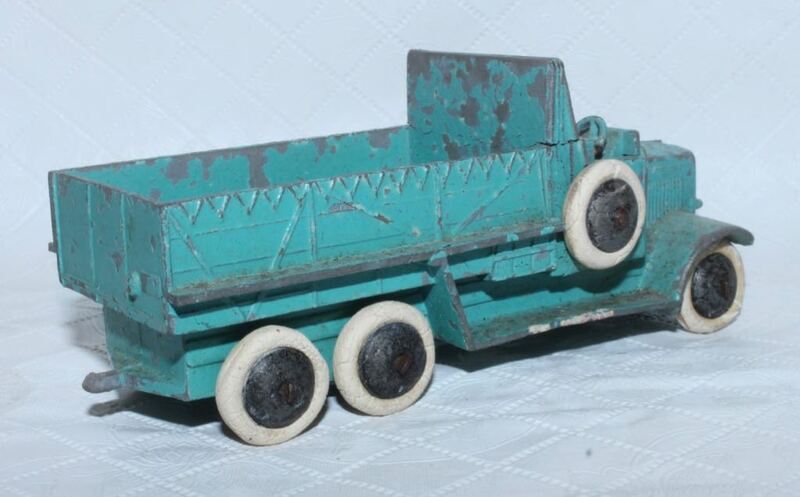 Blues and greens quite common too pre and post war, with a bit of wood appliqué materialising! 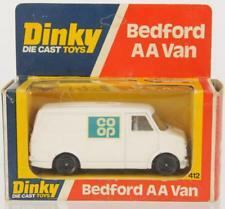 Perhaps it was just Dinky who went a bit austere. 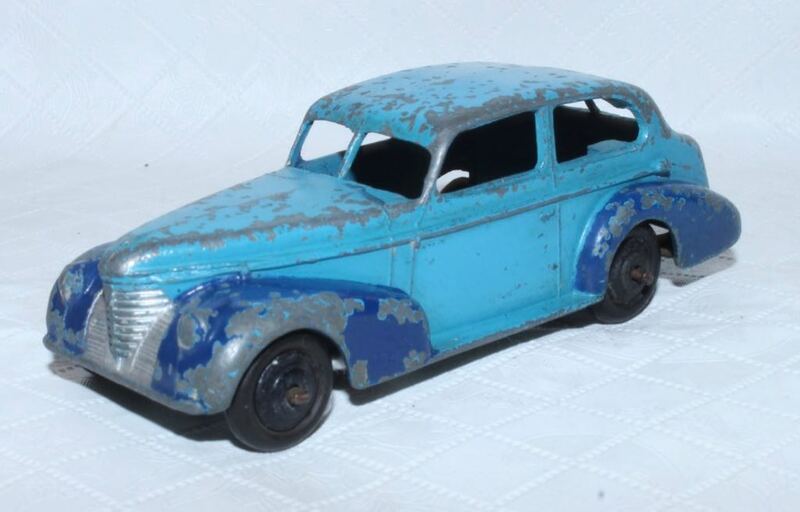 My Lincoln Zephyr is the common grey green. 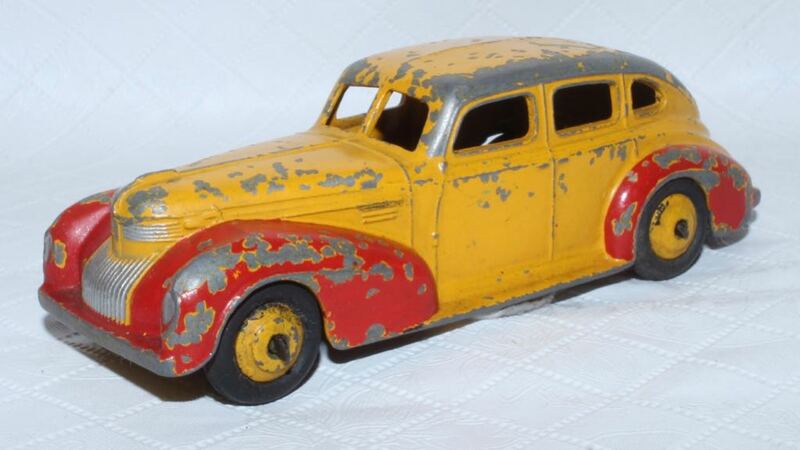 I think nearly all of the pre-war American cars, such as the Lincoln, came in one, solid color. I have seen quite a few vintage photos of them, and none had wings painted another color. 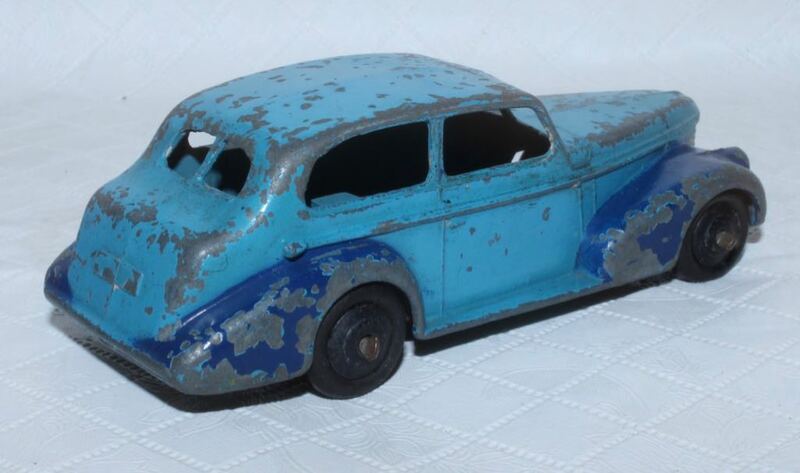 I think Dinky’s efforts on these 39 series two-tones are similar to those they used in the late 1950’s, on both US and English cars.......eye catching for sure, and did make them appear different, but totally unrealistic. 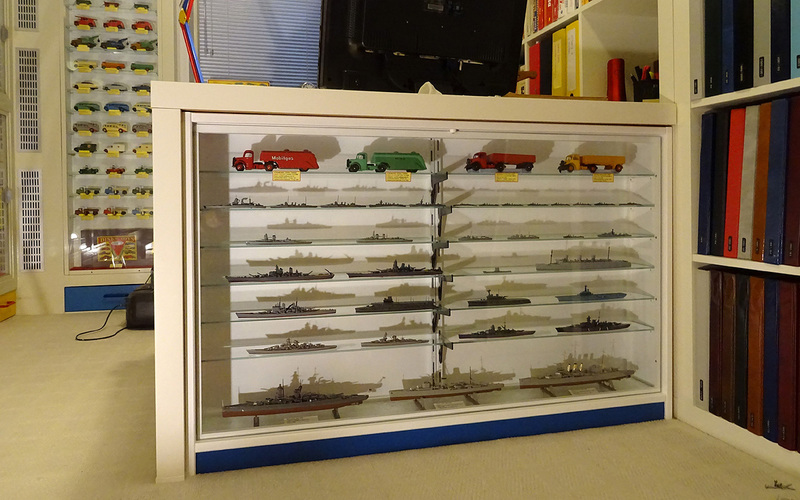 We have to remember....these were primarily toys, nicely built, and quite accurate, but not always exact models. 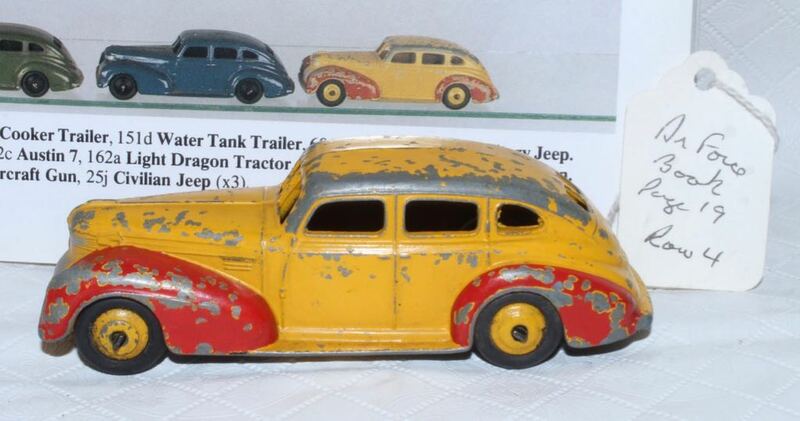 As Terry notes, these two-tone paint schemes are entirely unrealistic for prewar cars. 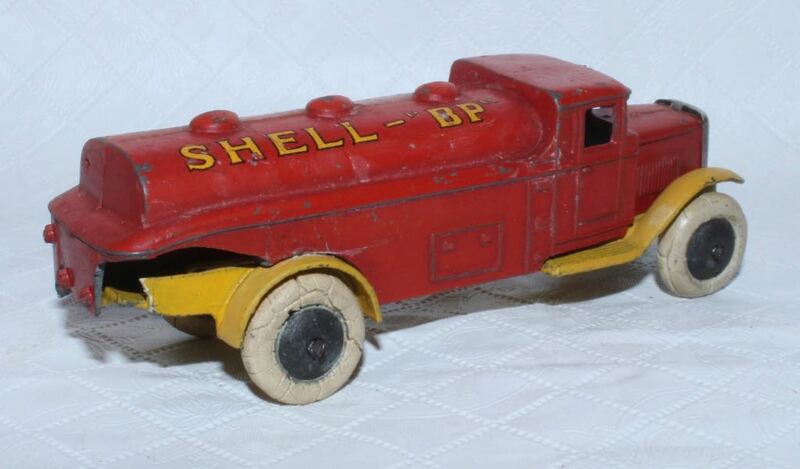 Much as they make for attractive toys now, they also make me rather sad, for they are "mutton dressed as lamb," one of the first signs that Meccano Ltd. was losing ground to Corgi and other more nimble competitors. in 1950s USA, planned obsolesence was at its height, with annual restyling of automobiles that was as drastic as the manufacturers could possibly afford. 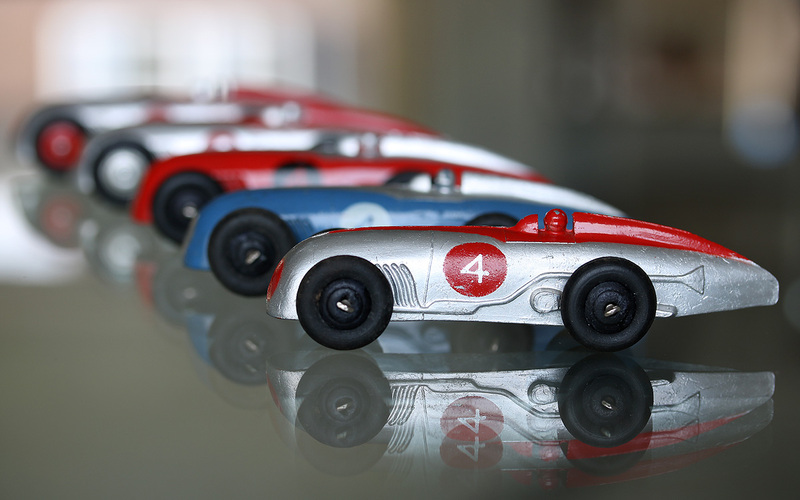 In addition to the chrome and fins, two-tone and three-tone paint schemes were common. 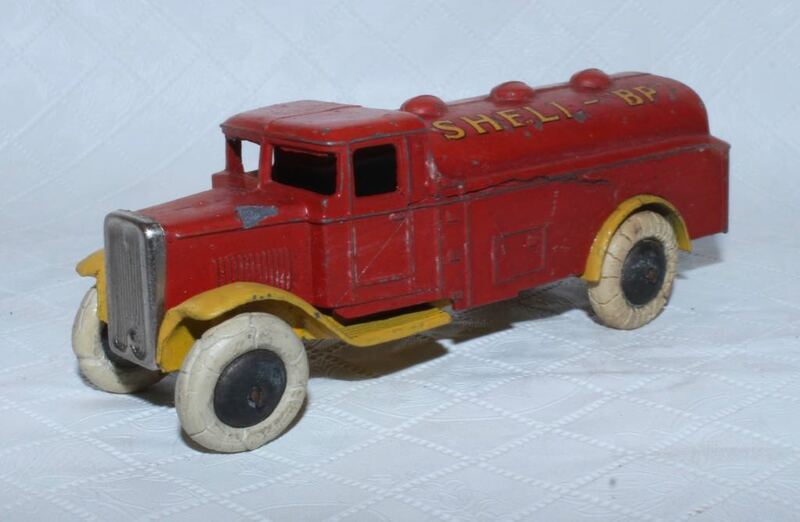 And, while Terry was an honourable exception (after all, he drives a Ford Model A to this day), most children wanted toys that reflected the "latest and greatest." 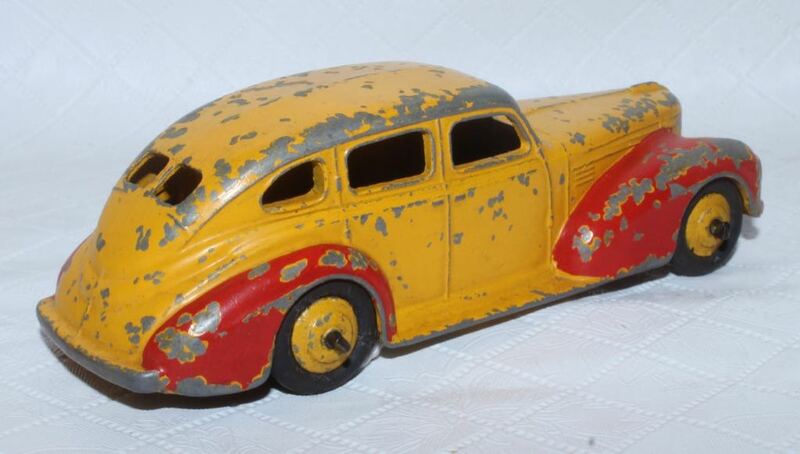 Cars did not last as long as they do now, and prewar vehicles seemed absolutely ancient -- especially to young children. Obviously, Liverpool adopted these colors as an attempt to boost sales of older models, when it could not afford to have enough new ones in the pipeline. Perhaps it worked -- but children are a lot harder to fool than adults think. Three Bedford Van 410 John Gay arrived this morning. You will note that two of them are in a 412 box (???) and that I have never seen, in any listing, the "Rey Racing"
To note, also, that the baseplates are not metallic grey ! For the Rey racing it's black and the two others are dark brown. 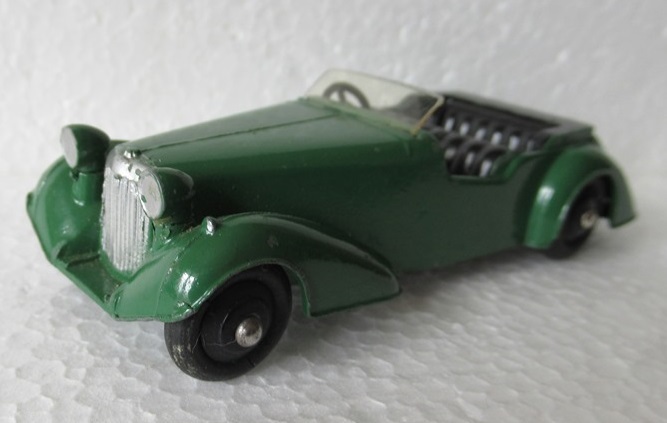 An Alvis in green colour arrived this morning. It join the red one in the cabinet. No. 151b Transport Wagon + exactly matching no. 161b AA Gun on Trailer (both fitted with early treaded tyres and both manually marked underneath with the apparent date of first buying: 2.11.48). 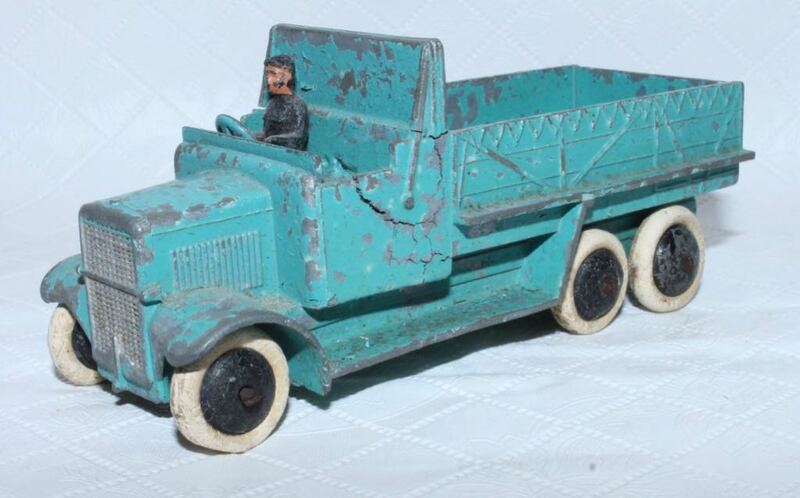 A bit dusty but close to mint with very shiny axles. No. 13a Cook’s Man and no. 12c Postman (the latter to accompany the no. 12d Telegraph Messenger, present since 14 September 1998 already). Another no. 161b AA Gun on Trailer (now with the final domed axle ends for export to US, to accompany my identical export Transport Wagon). No. 25y Universal Jeep, green with red wheels (to accompany the all green one and all red one). No. 25j Jeep, export issue in red with blue wheels (scarce, with higher bonnet, to accompany the early more common one with black wheels and flat bonnet). No. 49 Petrol Pumps Set with white hoses (to accompany and complete the same incomplete set with yellow hoses). Jan—What a wonderful assortment of vintage Dinky’s to arrive at your doorstep....can’t wait to see your always excellent writeup on each. New Alvis for me this morning.